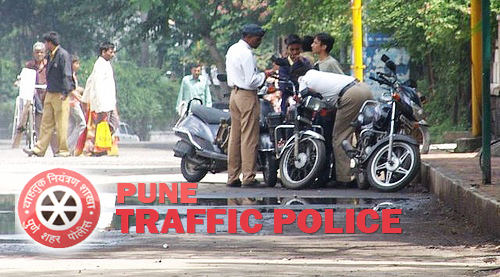 PUNE: It was a day of shame for Pune Police as Eleven constables of Pune traffic police including three lady constables were suspended for remaining absent from their traffic posts and for dereliction of duty on Thursday. Deputy Commissioner of Police (Traffic), Vishwas Pandhre issued the suspension order late in the evening, a decision which has sent shivers down the spine of the police force. The order clearly stated that constables working in traffic police department, who were neglecting their duty by remaining absent from their assigned posts or involved in chit-chatting during duty have been notified orally as well as in writing by the traffic department in the past also. Constables who have been found neglecting their duty in the past had been fined and given Punishment on PT ground. Deputy commissioner of Police (Traffic), Vishwas Pandhre who has issued order of suspension, said, “the prime reason for suspending the constables is non performance and remaining absent from their assigned posts. In recent past, non performing constables have been reprimanded by stopping their increments or by transferring them to headquarters. We have issued list of Do’s and Dont’s but there was no change in their attitude, that is why we took such a harsh action of their suspension, “he said. Pandhre informed, that on 6th of march, he and his officers of traffic department had found 11 constables who were neglecting their duty across the traffic divisions in city and issued a order of their suspension. 6.D.S Gogje – CHATURSHRINGI TRAFFIC DIVISON.